Glimpse by Fernando Cruzado, Julia Díaz, Francisco Javier Fernández and Ane Villaverde. Photo by BoysPlayNice. 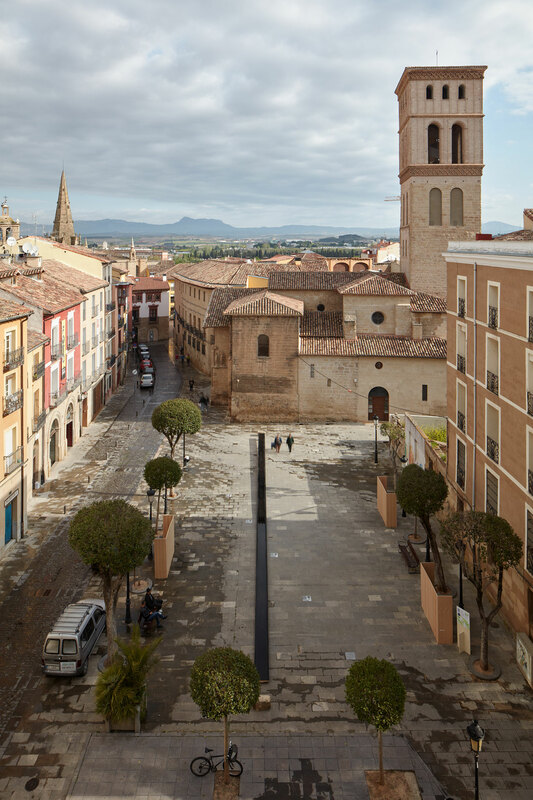 Created by 14 design and architecture teams from Spain and abroad, the ephemeral urban interventions were scattered across the city, some taking centre stage among the picturesque buildings of the historic centre, others nestled in hidden squares and terraces, and one even venturing into the surrounding countryside. 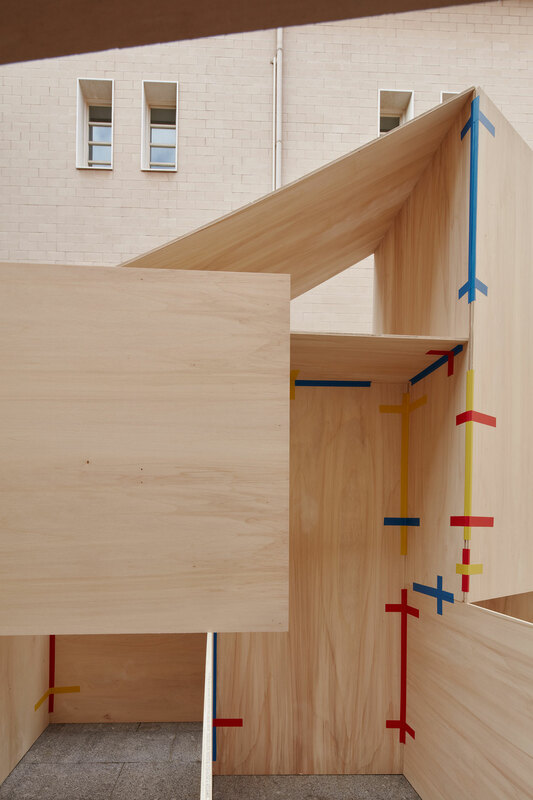 The installations aimed to initiate a dialogue between the city, its heritage, and contemporary architecture, but at a more practical level they also encouraged visitors to explore the city beyond the attractions mentioned in the tourist guides and discover places that would otherwise have gone unnoticed, while inviting its residents to experience their hometown through a fresh lens. 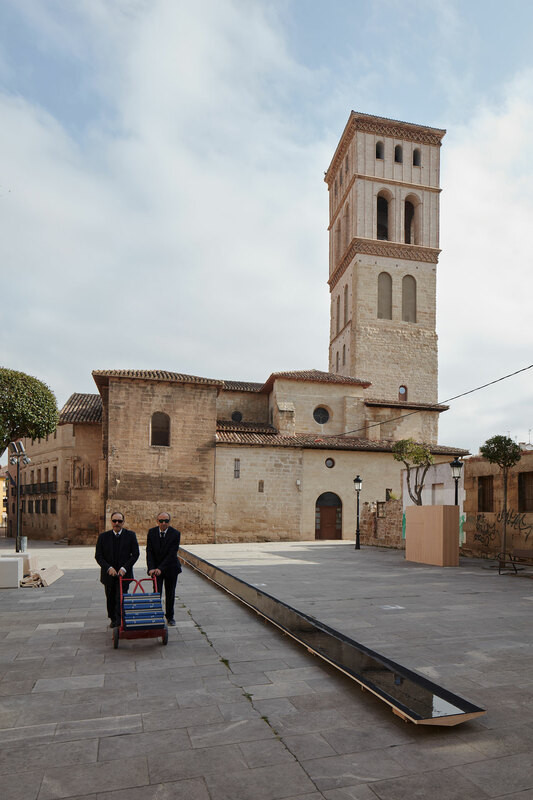 For those who could not attend, the photographic lens of Jakub Skokan and Martin Tůma of Czech photography studio BoysPlayNice evocatively documented Logroño’s urban transformation. 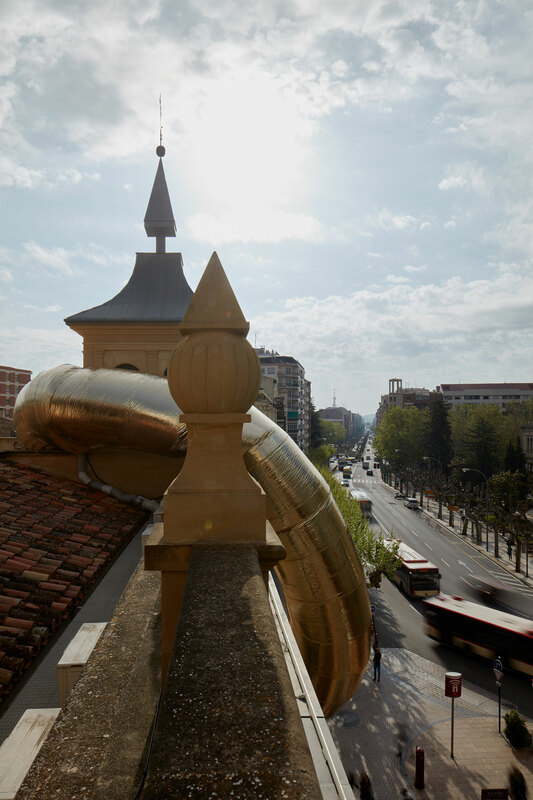 La Plaza by Lucas Seré Paltzer and Sebastián Andrés Podestá. Photo by BoysPlayNice. 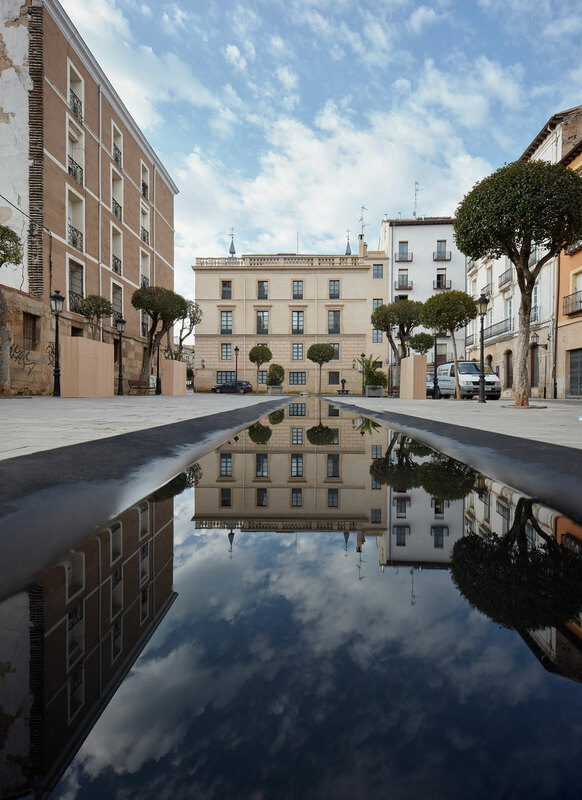 More simple but just as engaging was “La Plaza” at the tranquil Plaza de San Bartolomé, the introspective installation from Argentine architects Lucas Seré Paltzer and Sebastián Andrés Podestá who removed all of the square's benches, installing in their place a lithe, canal-like reflective pool that called for contemplation and reflection. 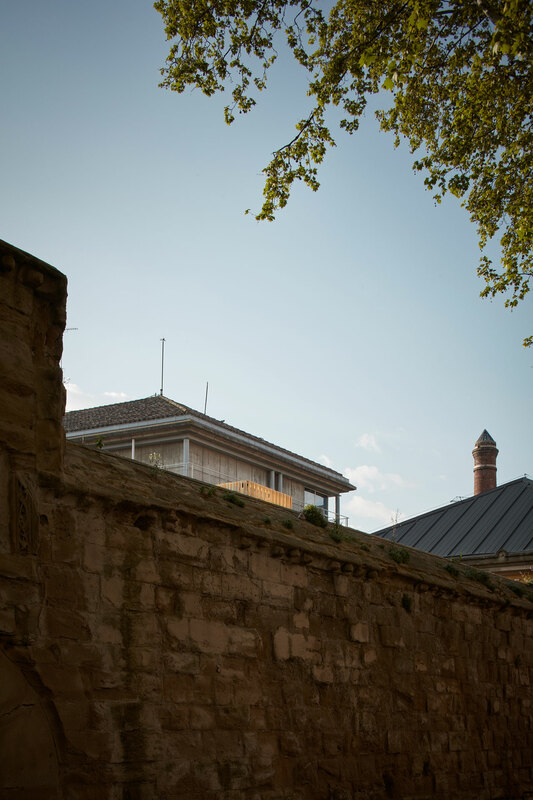 Stretching between two concrete blocks that visitors could rest on, the sliver of water created constantly shifting reflections of the surrounding buildings establishing a dynamic relationship between the wandering visitors and the urban fabric. Reflection by Collectif Parenthèse. Photo by BoysPlayNice. 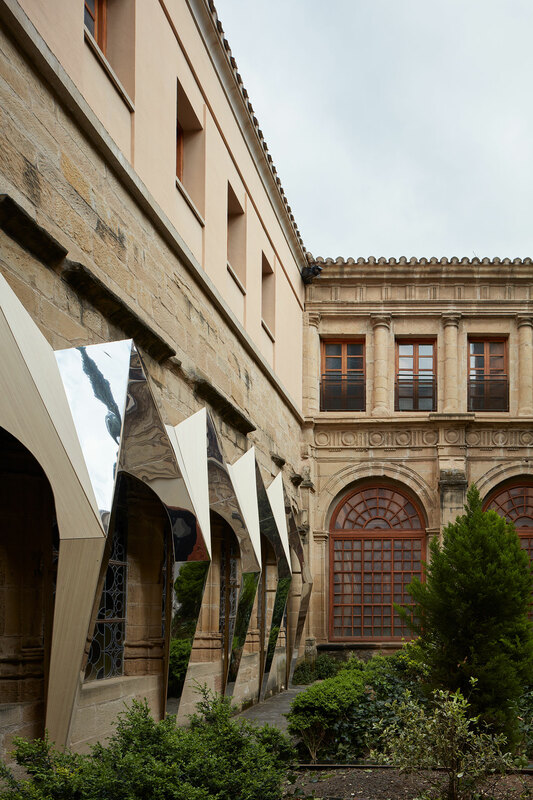 "Reflection" was also the name and key characteristic of French creative studio Collectif Parenthèse’s installation in the cloisters of the 13th century Church of Santa María de Palacio. 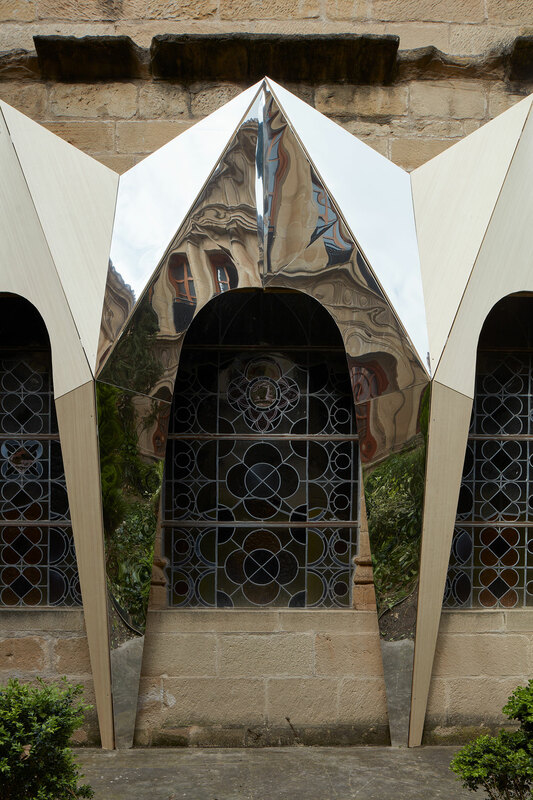 The designers addressed the building’s multiple architectural styles courtesy of the century-long construction period by creating a reflective, prismatic structure framing a row of stained glass windows. 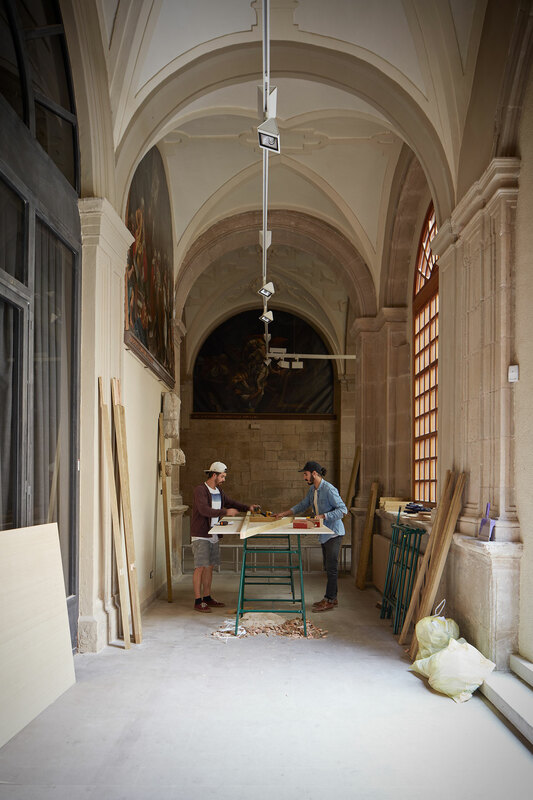 The design was both an enhancing homage and a radical extension to the cornices, mouldings, friezes, columns, and other assorted elements that make up the building. 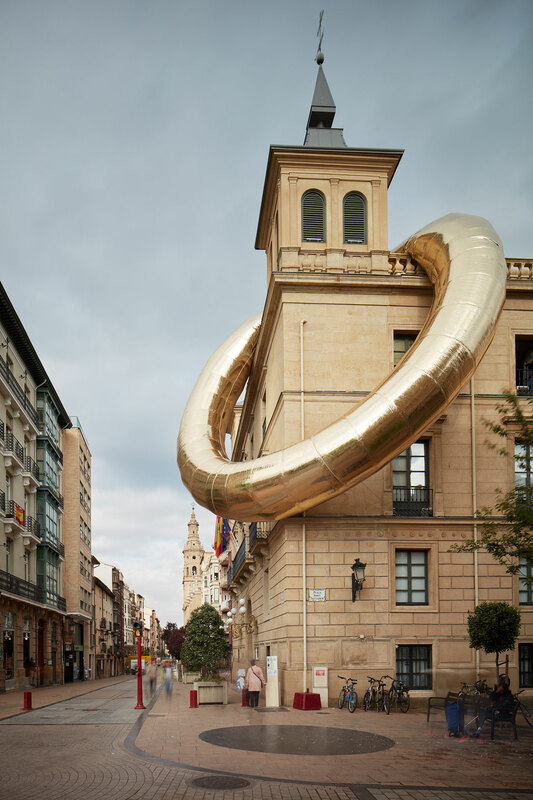 As radical and just as shiny was “RINGdeLUXE”, an inflatable gold ring of enormous dimensions that adorned the Instituto Estudios Riojanos headquarters. 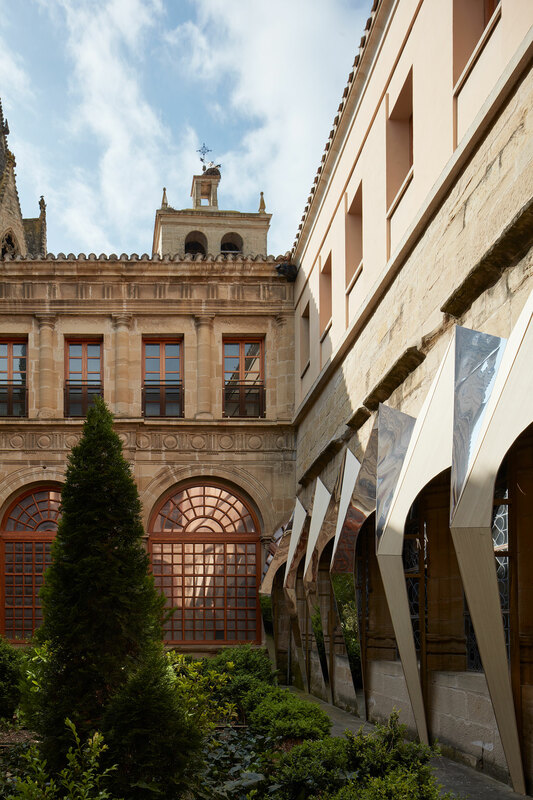 Conceived by Plastique Fantastique, a Berlin-based platform for temporary architecture, as a glamorous piece of jewellery to be worn by the Palacio Chapiteles, it perfectly encapsulated the pompousness of the 16th century building, once Logroño’s town hall, which features two turrets crowned by very modern-looking spears erected two centuries later. What was even more impressive than the pneumatic structure’s size though was how unexpectedly compatible its glimmering softness seemed to be with the stone edifice. RINGdeLUXE by Plastique Fantastique. Photo by BoysPlayNice. 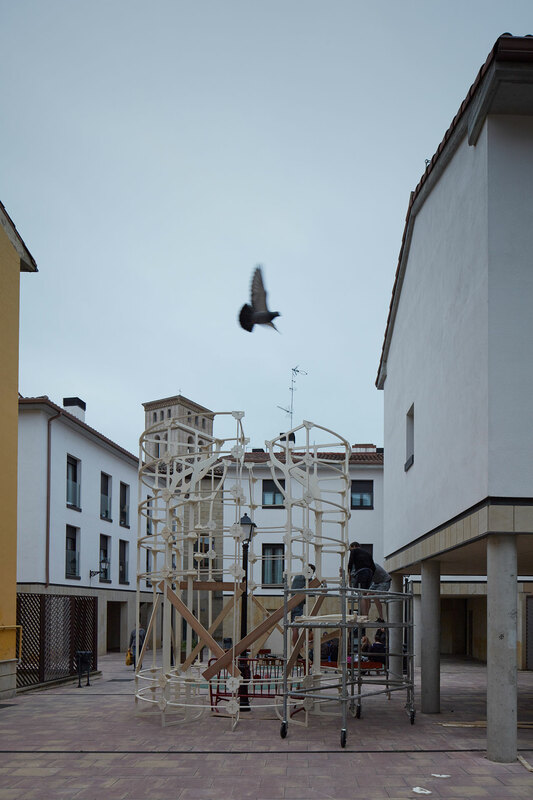 Otravisión by Davide Marchetti and NOUMENA. Photo by BoysPlayNice. 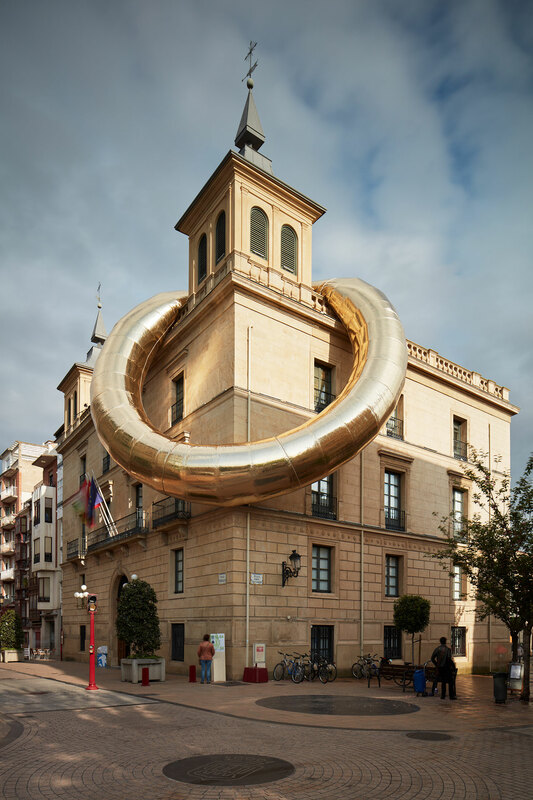 Whereas “RINGdeLUXE vied for visitors’ attention with its “bling-bling” aesthetic, Italian architect Davide Marchetti’s “Otravisión” redirected their gaze to the surrounding Plaza de la Muralla del Revellín. 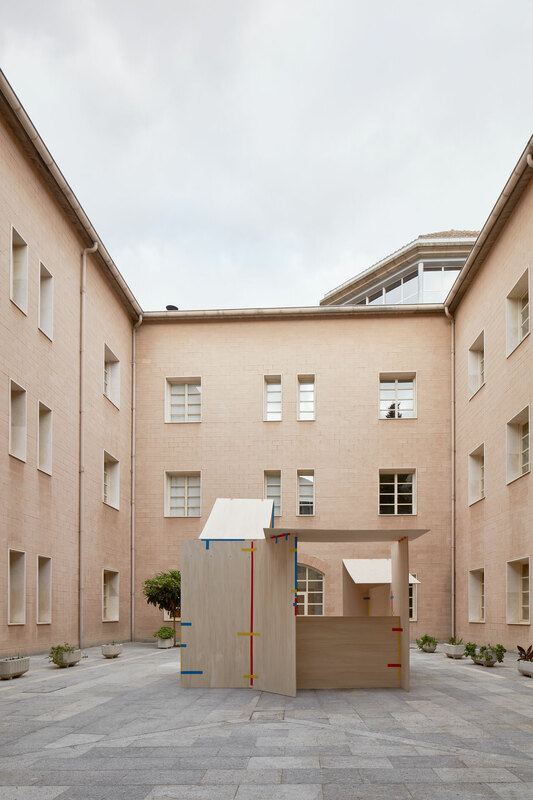 Constructed out of timber slats, the unassuming tower-like pavilion, its form alluding to Logroño’s historic fortifications, hosted a virtual reality experience designed and developed by design collective NOUMENA, whereby visitors, once inside, were directed to look outside through numerous purposefully designed slits, with the entire structure effectively functioning as a “virtual periscope”. 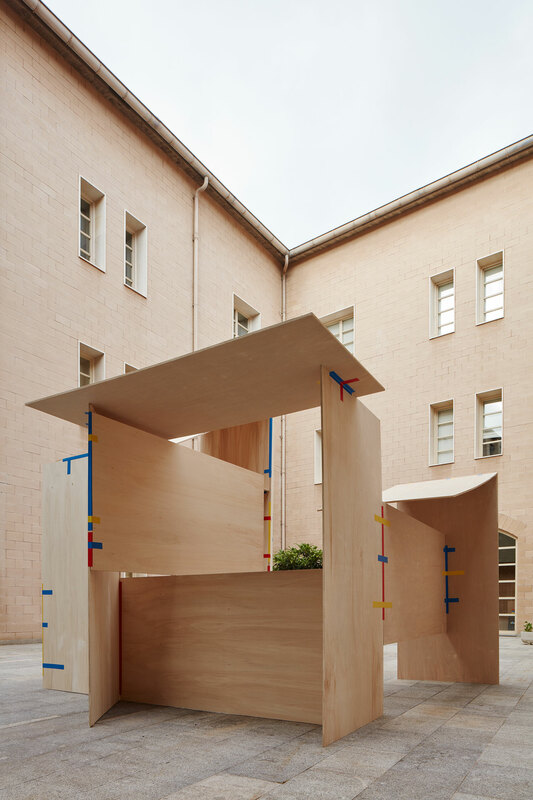 Wood was also used for “La chabola”, Spanish designer Jorge Penadés’ installation in the courtyard of La Biblioteca de La Rioja, and similarly to “Otravisión”, the result is an unassuming structure that nevertheless is much more complicated than its looks. 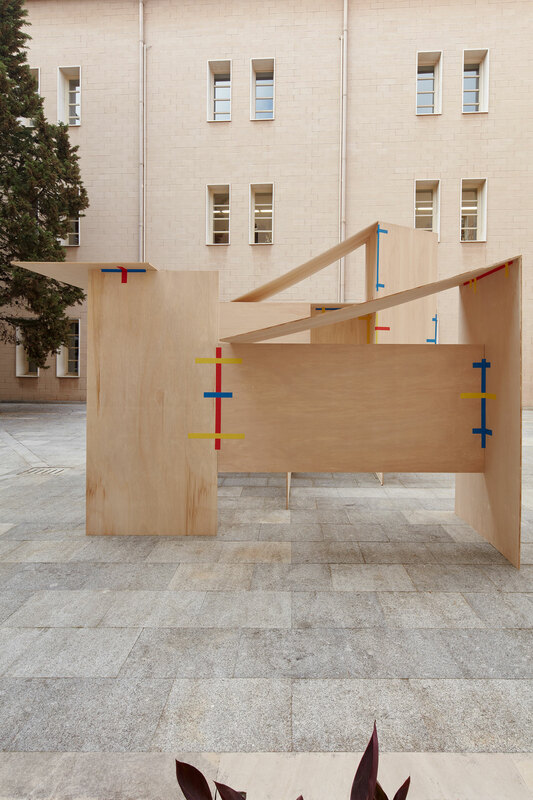 Made out of rectangular wooden facets held together by red, blue and yellow adhesive tape, a method inspired by the use of kinesiology taping by physiotherapists to alleviate muscle pain, the structure appeared haphazardly set up, creating a dynamic juxtaposition with the mundane library building. La chabola by Jorge Penadés. Photo by BoysPlayNice. Lantern by Mjölk. Photo by BoysPlayNice. 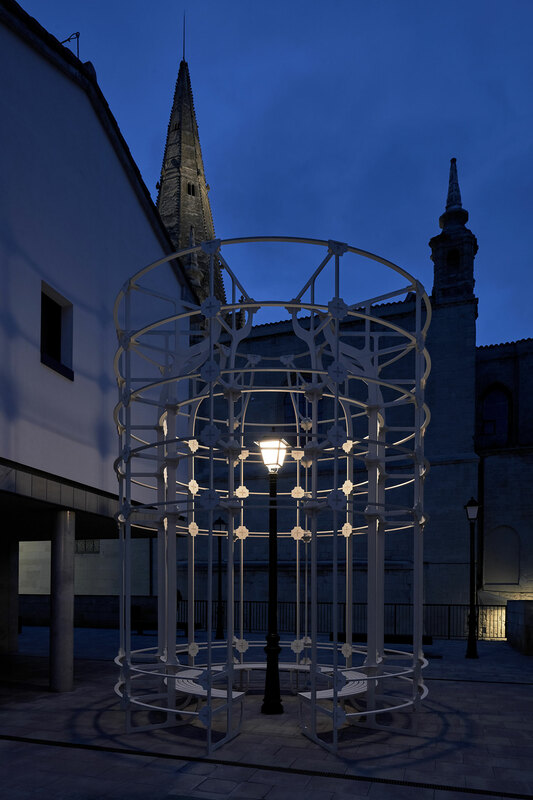 Meanwhile, Czech architecture studio Mjölk’s “Lantern” enveloped one of Plaza de Santa Ana's lamp posts in a cylindrical, latticed structure that cast intricate shadows on the ground when the light was switched on at night. 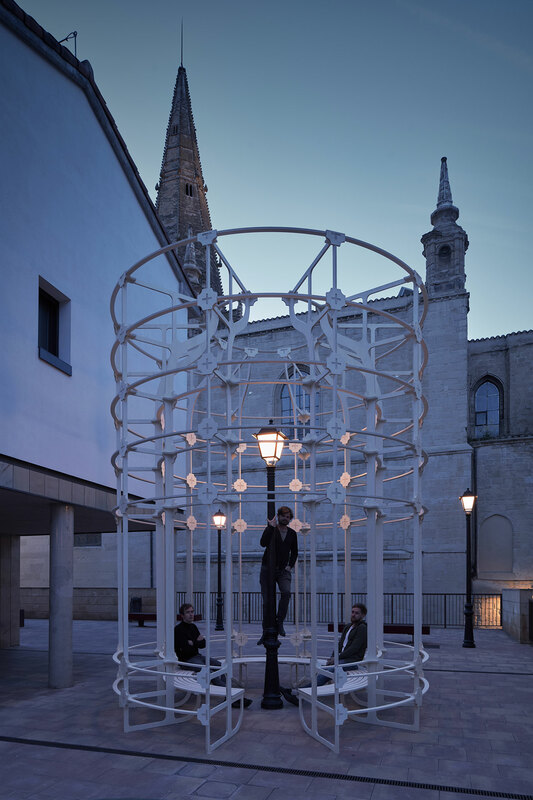 The intervention, which also functioned as meeting place, where, like moths to a flame, visitors congregated at dusk to sit around the illuminated lamp post, was a poetic reminder of the hidden potential of all the taken-for-granted urban furnishings. 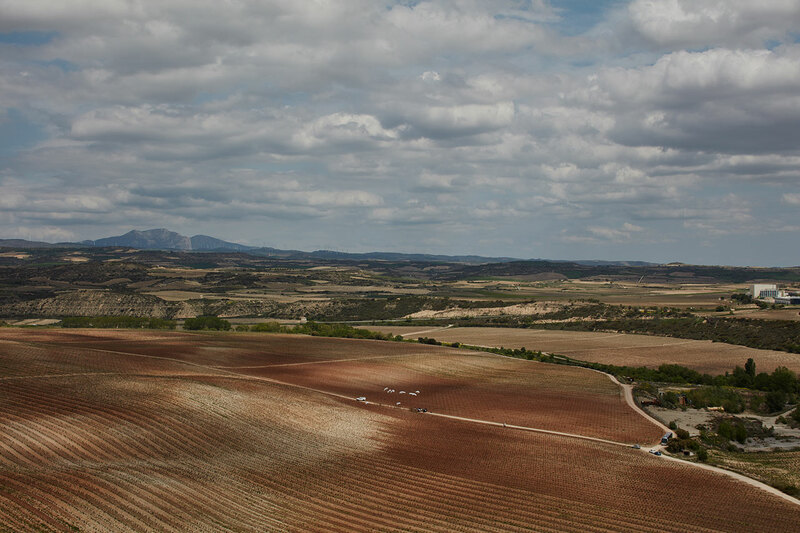 This year Concéntrico also included a rural installation, located amidst the surrounding vineyards, whose wine has put La Rioja province on the map. 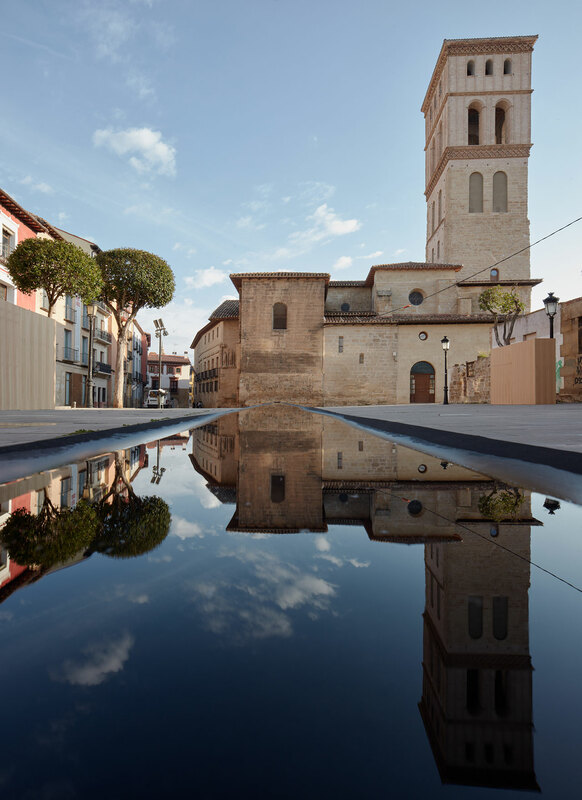 “Glimpse” by Spanish designers Fernando Cruzado, Julia Díaz, Francisco Javier Fernández and Ane Villaverde, took advantage of Viña Lanciano’s flat, repetitive landscape to create an ethereal landmark that could be seen from beyond the region’s borders. 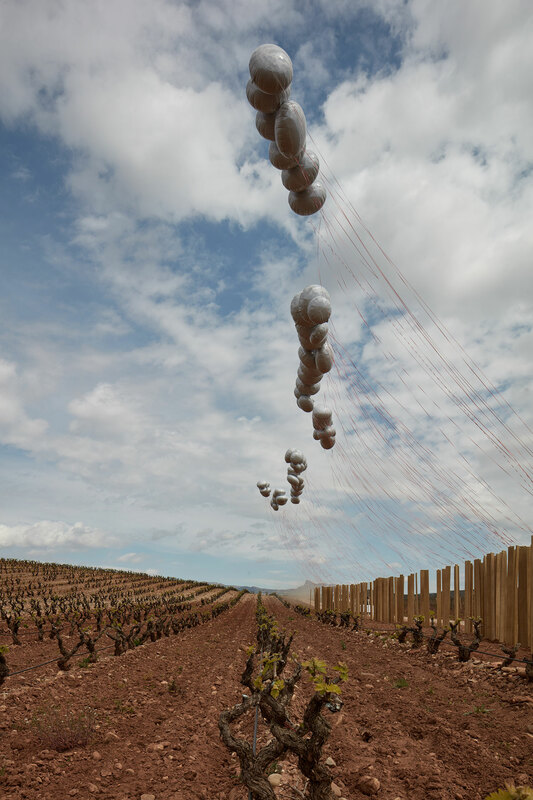 Tethered to a row of wooden stakes that lined a dirt-road between rows of vines, several clusters of balloons swayed above the fields, their shiny roundness standing out against the bare soil, while their linear rhythm reverberated the grapevines’ orderly layout. Ironically, this rural location with no building in sight, presented itself as the ideal place to reflect with a clear mind on our relationship with the urban environment; aren't we after all tethered like the balloons to the cities we live in?